Last month, I had the absolute honor and privilege to join the June 2018 Greenwater, Washington Squatchin’ with Barb & Gabby Campout. 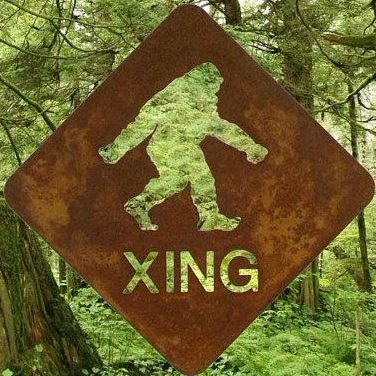 As many may know, I have been walking a path with the Sasquatch People ever since having a series of life changing connections with them starting June 28, 2013 with my first encounter with multiple Sasquatch on private land near Mount Adams and the Gifford Pinchot Forest in Washington. After those formative experiences, I searched in all ways I could to find others who have had experiences with them, knowing as I do, that they are a people of high intelligence, who are capable of so much more than what we humans can do, and that they are not animals or monsters to be hunted and destroyed. They have families, they can travel through space/time/dimension and they live in a completely balanced harmony with God/Nature. They are more humane than us humans and we should be so wise to look towards them for guidance and wisdom. In my searches, about four years back, I found the Youtube channel, “Squatchin’ with Barb & Gabby”. It was a beautiful confirmation that others were having the same type of experiences that I was and a total blessing that the people in the campouts were willing to share such amazing experiences in a public forum. Suffice to say, when I got confirmation that I was selected to join the June campout, I did a happy dance and was absolutely stoked to go. Not only for deeper connections with the Sasquatch People, but also to commune with my own Human People, who walk a similar path as my own. And I’ll tell you what, I was not disappointed on any level. I had phenomenal experiences that bend our understandings of reality and forged beautiful friendships with outstanding, excellent people and this is something I will forever be thankful for. May I present to you, the first of a series of videos documenting the 2018 Greenwater, Washington Squatchin’ with Barb & Gabby Campout. In~Joy! Hello everybody! Here we begin our June campout series, once again from here in Greenwater. In part 1, you meet our new campers and hear about their first experiences in camp, including another visit from a Gabby lookalike and more strange lights.